Look no further for a sophisticated take on man-tailored styling. 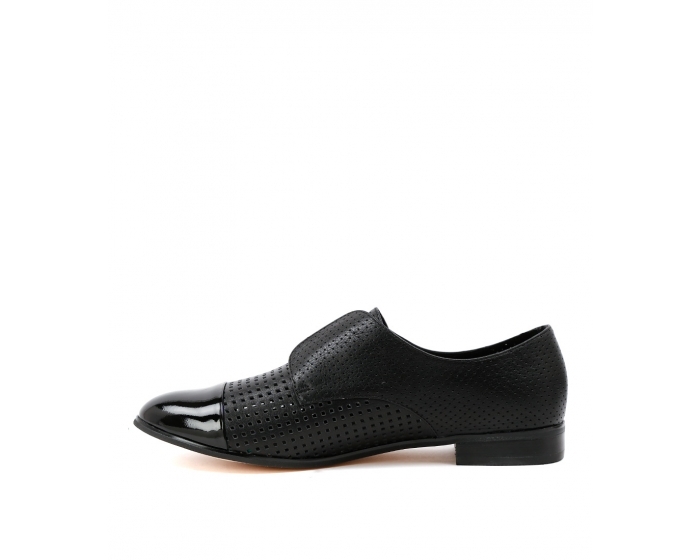 These slip-on brogues feature unique laser cut leather, elastic for easy access and a small heel for comfort. You'll be sure to enjoy all-day comfort whilst looking ever so stylish!